I have a before picture of my 3 Christmas totes. I sorted my Christmas decorations and decorated the house this week. I trashed some extra packaging and donated 10 items. 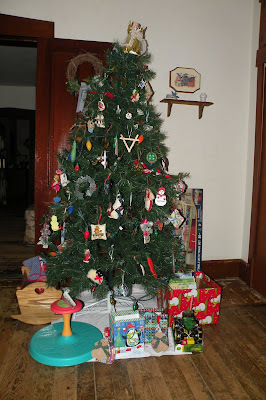 I have my grandbabies gifts under the tree. My Christmas totes before discarding extra packaging and donating 10 items. My Christmas tree and grandbabies gifts.